This time you visit Rajasthan just do not be at the crowed tourist hotspots of the state. Experience the charm of solitude at places like the Sajjan Garh fort of Udaipur. While the placid waters of Lake Pichola and exquisite beauty of the City Palace grabs all limelight, the Sajjan Garh fort stands till and proud on top of a hill (around 1100 feet high) and almost kissing the sky. A question might come to your mind why should you leave all the glamour and visit this dilapidated castle. Well if you truly want to embrace the regal lifestyle of the royal Rajputs, a visit to this fort is a must. Sajjan Garh is a treasure of history. It was built by Maharana Sajjan Singh in the late 19th century with the intention of building a astronomy centre. But the Garh or fort actually became a monsoon palace due to its sky kissing height and vacant lands all around. Watching the monsoons touch the dry terrains of this desert state from the top of Sajjan Garh is truly an experience. It also served as the hunting lodge due to its close proximity to forests. Besides the rainy season, people gather at the Garh during dusk to witness the sublime beauty of the sunset. The forests which served as the hunting ground for the Maharajas is now a wildlife sanctuary and is known as the Sajjan Garh Wildlife Sanctuary; this is located just at the foothills of the castle. 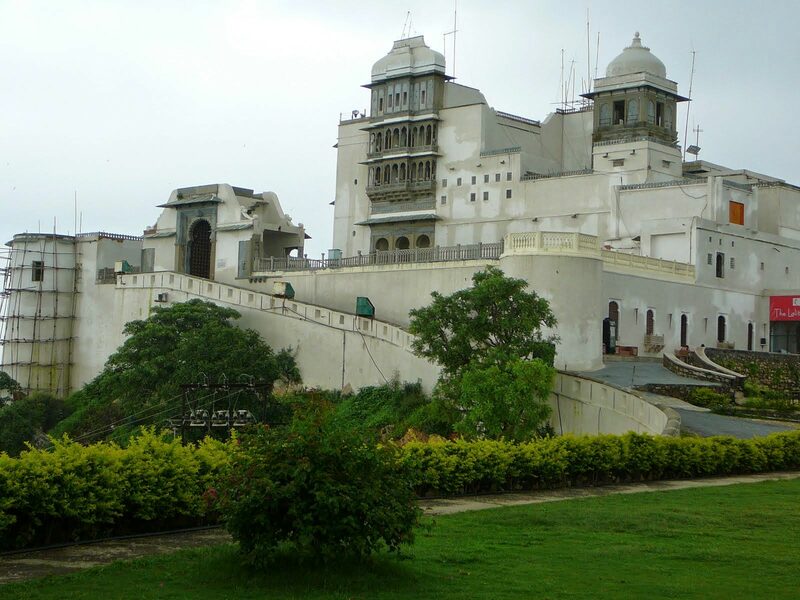 This Monsoon Palace also serves as an ideal bird watching area as the castle overlooks the Fateh Sagar Lake. Numerous birds fly around the area throughout the day and fills the air with joyous chirps at the dusk, while returning to their nests. Last but not the least; visit the Sajjan Garh fort if you want to witness the Rajput passion for art and architecture. The swirling staircases right at the middle of the palace; the rustic look of the turrets and the massive rooms and quarters speak of the grand lifestyle of Rajput rulers of Rajasthan. When you are visiting a royal destination, why travel like a common? Visit Sajjan Garh Palace or Fort on Palace on Wheels. The luxury train of India takes you to Udaipur and in turn to Sajjan Garh on its fourth day journey. The train reaches Udaipur early in the morning and after a sumptuous onboard breakfast you are taken to the prime tourist spots of Udaipur. While you have a number of trains chugging to and fro Udaipur every day, Palace on Wheels is your best vehicle to travel because it just not takes you to the beautiful city but helps you live this beautiful life on its 8 day tour. From the splendid decoration of the suites to the heart warming hospitality of the attendants; from the plethora of lip smacking Indian and global cuisines to the perfect ambience, Palace on Wheels gifts you an immemorial trip to Sajjan Garh.